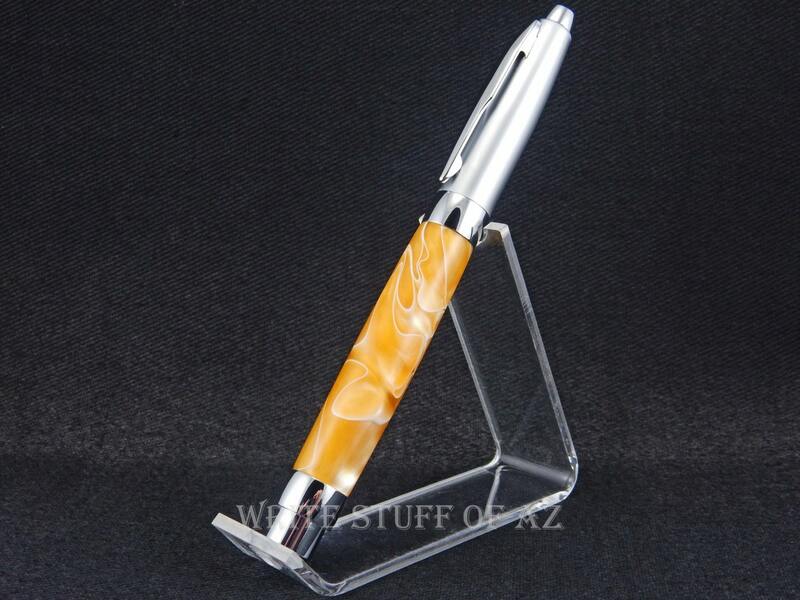 You'll love this Presimo style FOUNTAIN pen. The body is made from a gorgeous creamy butterscotch yellow acrylic with threads of white throughout. The nib is of the highest quality German iridium for long life and durability. The metal cap, with its satiny smooth finish, simply presses on the pen end to post and screws on to the pen nib end to close. 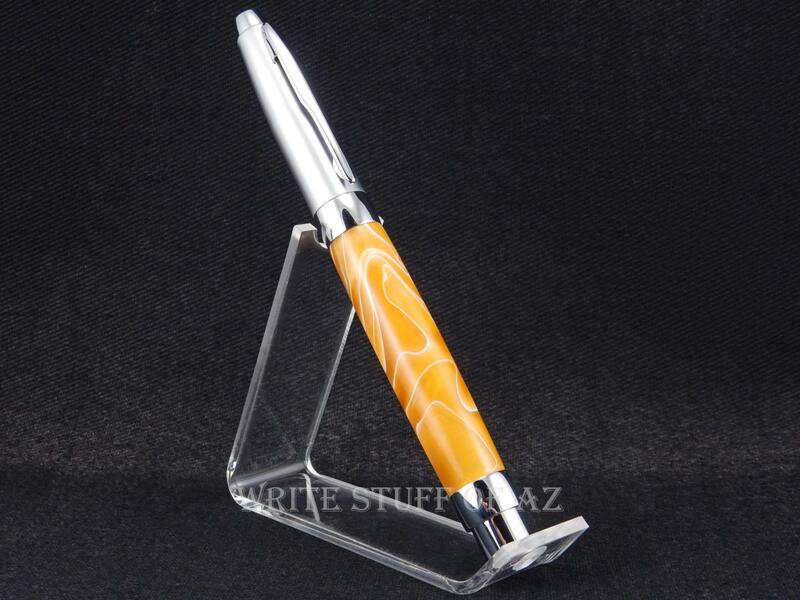 Included with the pen are both a refillable reservoir and a starter ink cartridge. 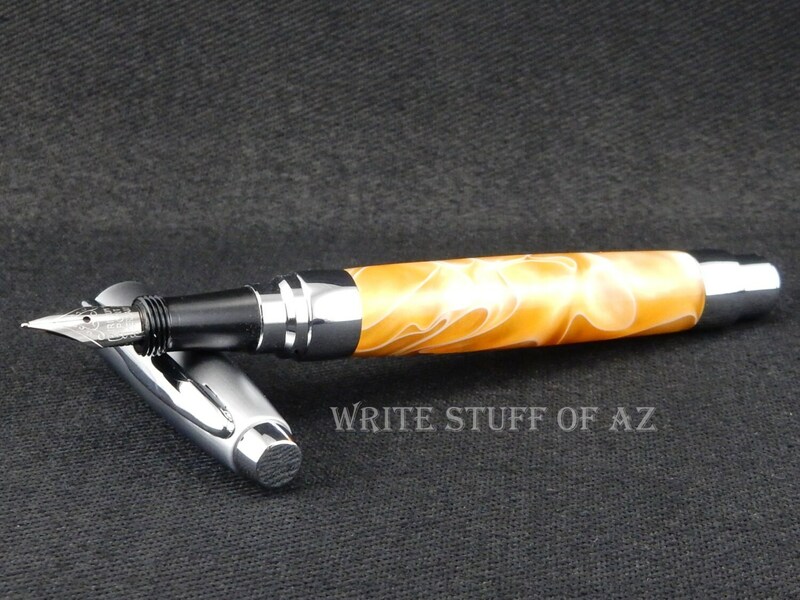 The pen, capped, measures 5 1/2" and is somewhat hefty with a 9/16" diameter at its widest point. The grip is 3/8" in diameter.